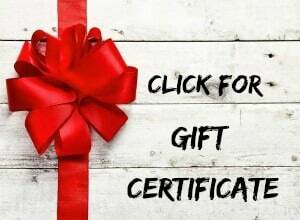 Want to make a special gift for the cook in your life? And for not much money? 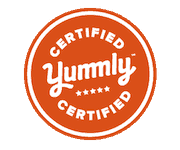 Homemade Vanilla extract is the perfect gift – everyone cooks. But not all vanilla beans are equal. If I can even find vanilla beans in eastern North Carolina, they are usually all dried up. 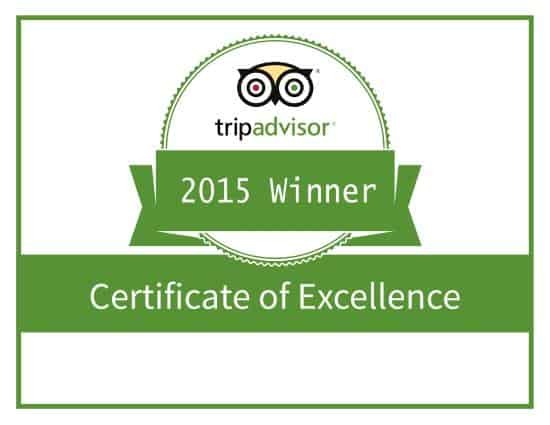 But with some diligence good beans can be found. (See below) Vanilla beans come from a climbing orchid and each has its own special quality – some redolent of cherries, bourbon, cinnamon, even prunes. 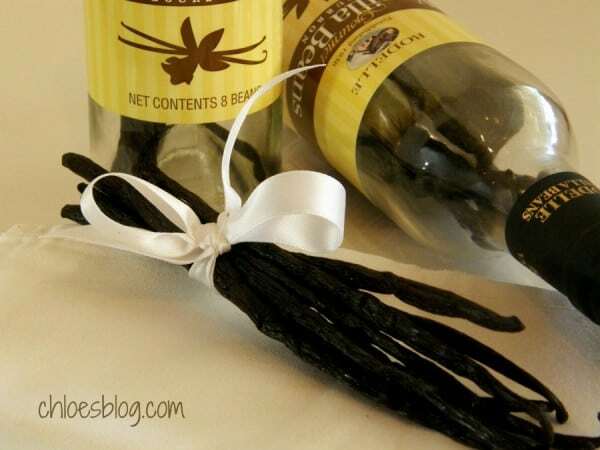 The more I read about vanilla beans, the more I am intrigued by them. Each bean is hand-picked and hand-pollinated. Now we know why they cost so much. 1. Using a very sharp knife, slit into each bean except for an inch at the end. If you cut too much the seeds will come out and cloud the vanilla. This isn't a problem, just doesn't look as pretty. You can strain through cheesecloth or a coffee filter if it bothers you. 2. Put beans into a glass jar with a tight-fitting lid. Cover with the vodka. Shake. 3. Store in a cool, dark place for at least a month - longer is better. Shake the jar every once in awhile. This wonderful elixir will last for years. As you use it up, just add more vodka, and give the bottle a shake or two. * The cute little Absolut Vodka bottle in my photos has 200 ml of vodka, just short of a cup. Bend the beans to fit in the bottle. 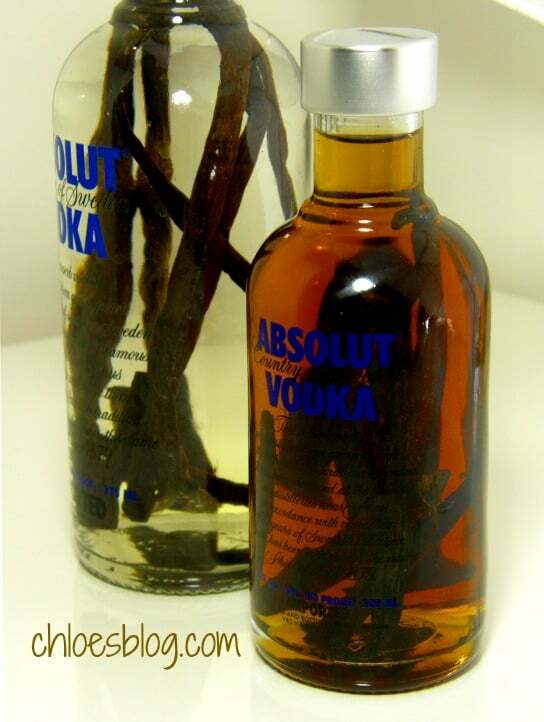 The next size of Absolut Vodka is 375 ml (almost 2 cups) and the beans will fit in the bottle easily. I used three beans for the smaller bottle and six beans for this larger bottle, just remember to use 3 beans per cup of vodka. It isn’t necessary to use the high quality of vodka like Absolut, but I really like the bottle! 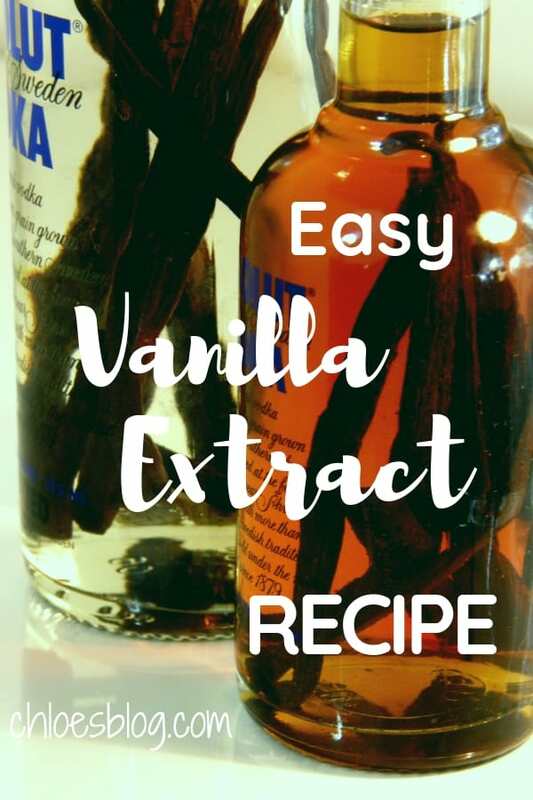 Just a thought – Commercial vanilla extract often has a sweetener added to take away the bitter aftertaste. You can add simple syrup (sugar water) if you want. Penzey’s sells good vanilla beans and during the holidays you can sometimes find beans at discount places like Trader Joe’s, B.J.’s Wholesale Club and Costco. In fact, yesterday I found them at a Costco in Atlanta – 10 beans for $11.99.